Hear from leaders representing diverse manufacturing operations in Maryland on Why Maryland Manufacturing Matters. 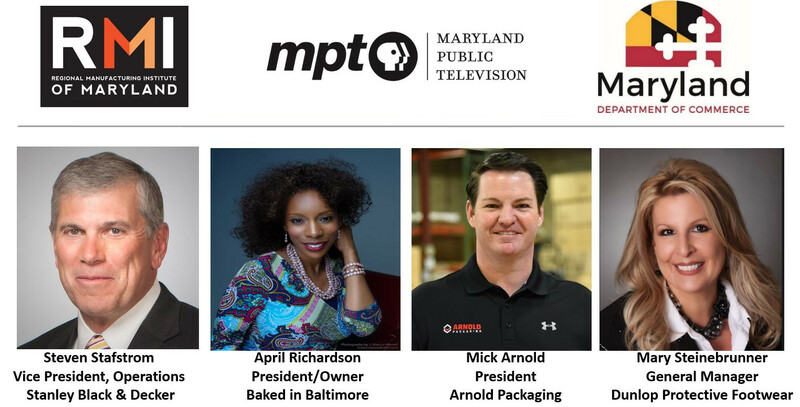 Hear How RMI and Maryland Public Television (MPT) are Working Together to Promote a Positive Image of Maryland Manufacturing. See a Sneak Preview – MPT Promotional Video on Maryland Manufacturing and Details of a Plan for a 13-part TV series. Celebrate Maryland Manufacturing and Meet the People & Programs Supporting Our Industry. Get Videotaped for RMI Outreach Efforts and Tell Us Why Maryland Manufacturing Matters.